The baseball team had a historic weekend as they scored 50 runs, tied for their most ever in a Big West series, in their three-game series sweep over UC Riverside this past weekend at Matador Field. They tied the record first set against the University of Pacific in 2003, while also pulling back to .500 in conference play after being swept at Cal Poly in the conference-opening series. This series against the Highlanders started off on a high note with a 14-5 victory on Friday, giving CSUN its first conference win of 2019. Sophomore Wesley Moore got the start on the mound and earned the victory, going 5 2/3 innings and giving up seven hits and four runs while striking out four batters. Moore had the offense to thank for picking him up when he wasn’t on top of his game as they batted around the order in the first inning, plating six runs to give Moore some breathing room. 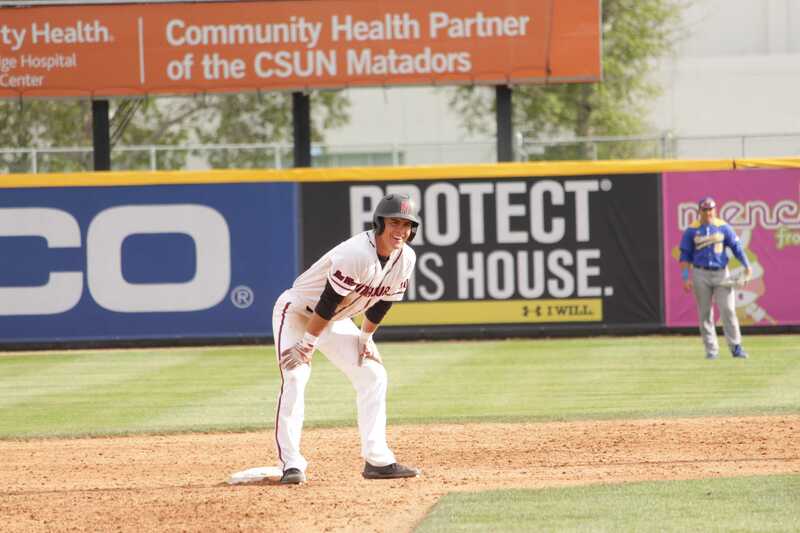 The second inning was the same story as the Matadors batted around again, this time scoring four times as their lead swelled to 10 heading into the third inning. That much time on the bench while the offense is rolling can disrupt a pitcher’s rhythm on the mound, so it isn’t hard to understand why Moore may have been subpar on the day as he had to find different ways to stay ready as he waited his turn on the mound. Junior Sean Skelly was the star at the plate as he went 3 for 4 with two home runs, five RBIs and three runs scored as he helped key the offensive outburst. The second game saw the Matadors break another school record, this time scoring the most runs ever in a Big West game in Saturday’s 25-1 victory. Senior Isaiah Nunez was the starter in that game, recording eight strikeouts and giving up just five hits and one run in six innings to earn his fifth victory of the season. But the story of the game was the offense as 13 of the 14 CSUN batters scored at least once while 10 recorded at least one hit. Freshman Andrew Lucas keyed the offensive explosion, going 4 for 6 at the plate with a home run, a double, six RBIs and two runs scored. More impressive was that Lucas finished the game on the mound, pitching a scoreless ninth in what was just his second pitching appearance on the season. 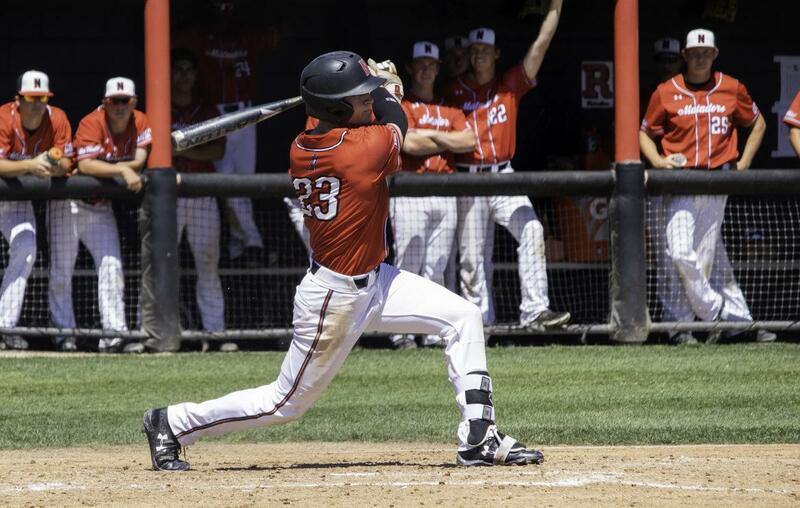 The final game of the series also saw the Highlanders play their best baseball of the weekend as they put together six runs, though it wasn’t enough as CSUN won the game 11-6 to secure the series sweep. Freshman Blake Sodersten got his first win of the season as he went six innings and allowed seven hits and two runs while striking out eight batters. Riverside was able to push through once Sodersten came out, with freshman Blaine Traxel giving up five hits in as many batters before fellow freshman Dwayne Angebrandt gave up a three-run home run as the Matador lead was cut to just four after being up by 10 going into the seventh. Sophomore Blake Schriever would be called on to shut the door on what had suddenly become a high-powered Highlander offense and he answered the call, retiring three of four batters in the seventh before shutting the door in the final two innings to earn his seventh save of the season. Skelly was given the day off from catching and served as the designated hitter for Sunday’s contest as sophomore Victor Cerny got the start behind the plate and he ran away with the opportunity, going 2 for 4 with a home run, a double and four RBIs. 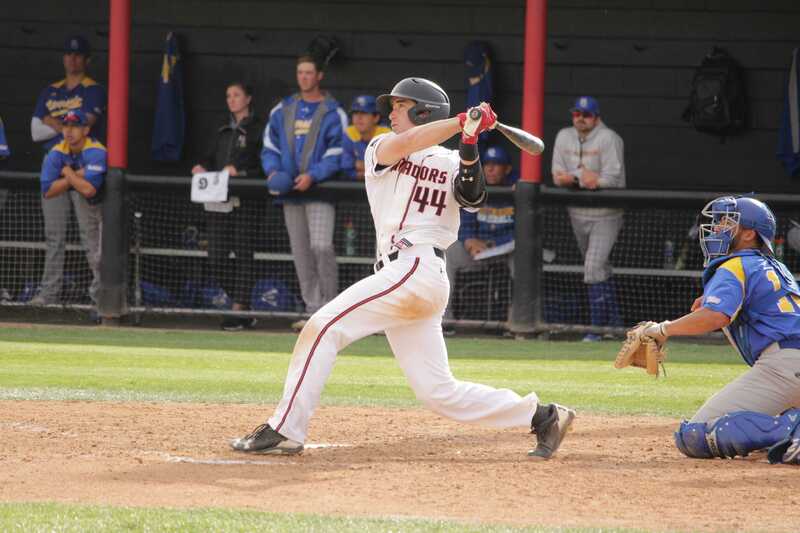 Senior Kyle Barret was the main catalyst for the historic offensive showing throughout the weekend, getting on base in 11 of his 15 plate appearances in the three games, including a perfect 6 for 6 in the opening game on Friday, setting the table for the hitters after him to bring him home. After the series sweep, the Matadors’ record sits at 14-17 and 3-3 in Big West play, good for fifth in the conference. 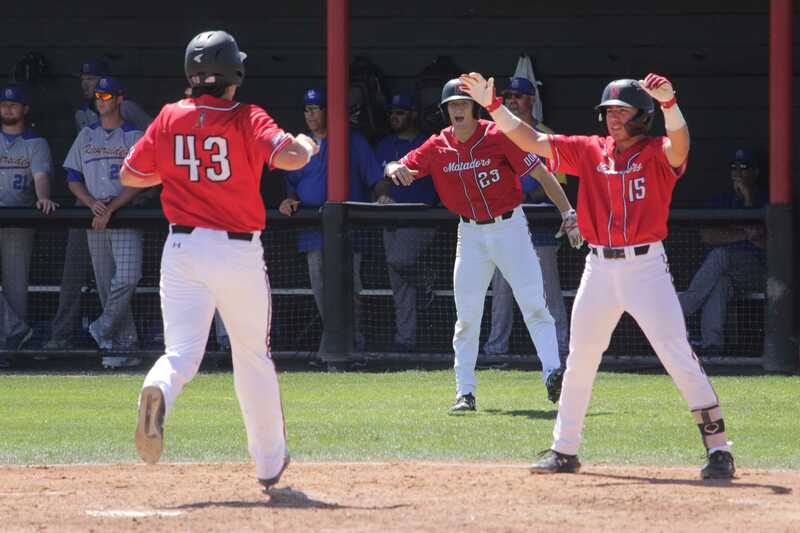 With those jitters now behind them, the Matadors can look to jump up in the standings as they go on the road for a three-game series with Long Beach State from April 12-14 before another series on the road against UC Irvine from April 18-20. They will then have a midweek game at Cal Baptist on Tuesday, April 23 at 6 p.m. before finally coming home for a three-game series against Hawaii from April 26-28.